The classic: high-flying, but with perfect traction. 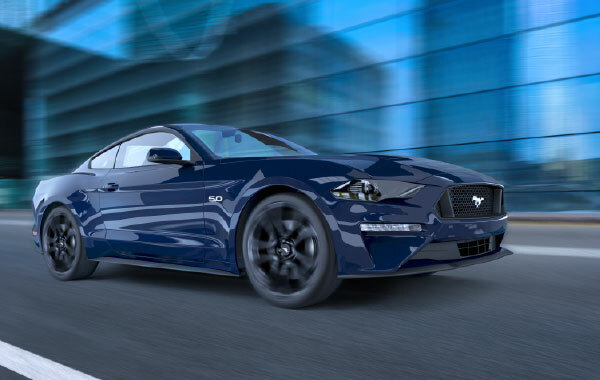 Its name conjures images of the vast Wild West: Mustang. 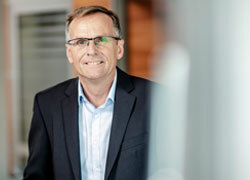 It took more than 50 years until the most popular Ford model could also be ordered in Germany. The legend of a car has been re-issued, and roaring under its hood is one of the last large naturally aspirated V8 engines. On the fast lane, the coupé drives like on rails. In Germany, sport chassis and Brembo calipers are standard, whereas in the United States, the Mustang is tuned a little softer. The newly constructed chassis with independent suspension and GRUEBER springs absolutely satisfies European demands and gives real driving pleasure. 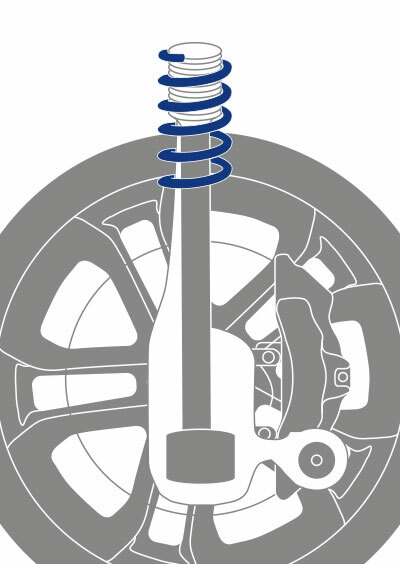 Using modern technologies, we manufacture high-quality springs for sport chassis as well as replacement springs for series production vehicles with materials up to a wire diameter of 25 mm. In our facilities, we apply the desired surface finish over a powder-coating with zinc-manganese phosphating. Our experience with processes like plasticising, shot peening and corrosion protection ensures maximum life and reliable safety. 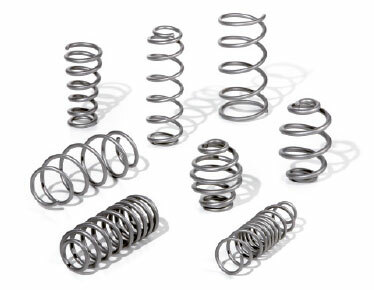 Solutions with axle springs and preload springs in various spring geometries for many vehicle types. Compression springs rolled up from one or both sides. 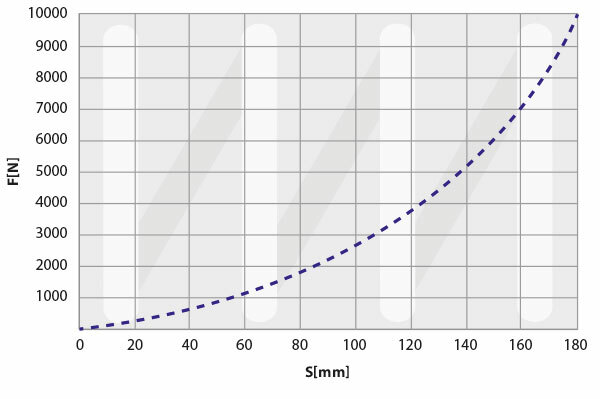 Cylindrical springs with linear rates. 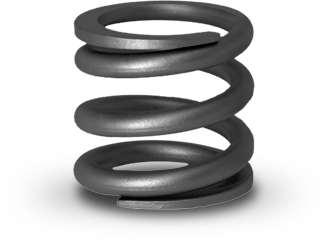 Barrel springs with progressive spring characteristic curve.